Gold Sponsorship $400.00: Includes a four-person team, and your individual or company name on a large print deluxe sign (18X22) in holder at Tee box located at one of the tee off areas. Scorecard Sponsorship $400.00: *Only one available* Large print of sponsor on front side of each golfers score card. Custom print, logos, coupon, business information or slogan. Hole Sponsorship $100.00: Your individual or company name on a large print deluxe sign (18X22) in holder at Tee box located at tee off areas. Additional Sponsorships Available: We are looking for individuals or Companies to donate prizes for the raffle. Cart Sponsorship $200.00: *Only two available* Company logo, business information or slogan. Very visible on every cart for all players for entire round. Scoreboard Sponsorship $400.00: *Only one available* Your individual or company name on the Official Event Scoreboard and every score sheet. Very visible to all players for entire round. 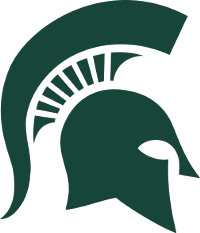 You can additionally support the Michigan State Lacrosse Club through a prize donation, sponsorship, or cash donation. Contact Sam Tuttle at tuttles2@msu.edu for information on additional sponsorship opportunities.